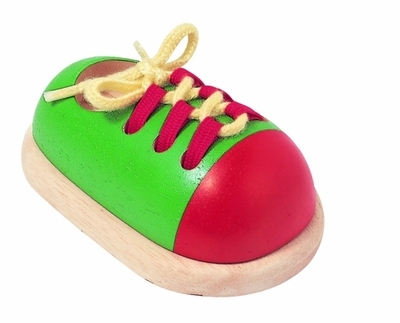 This cute wooden shoe is a great way for kids to learn how to lace and tie their shoes. The loops are cloth and it comes with a lace. The shoe measures 4.2" long.